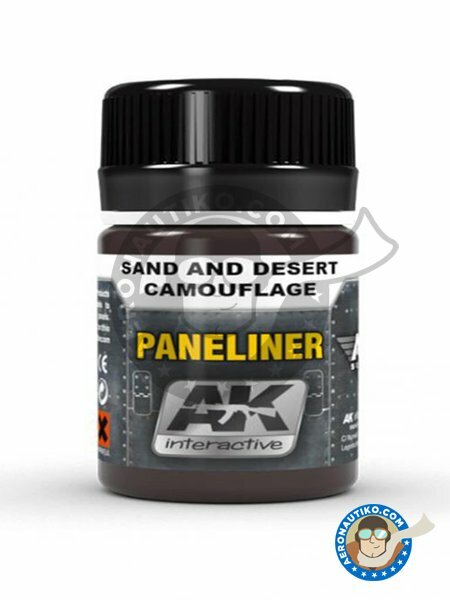 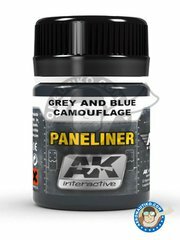 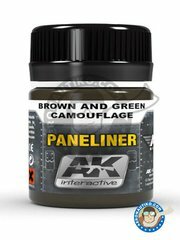 Paneliner for san and desert camouflage. 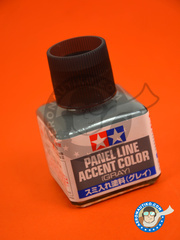 Forget complex mixes or infinity of colors. 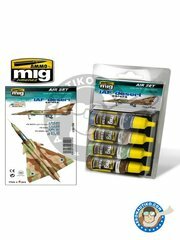 High quality enamel product for scale aircraft models. 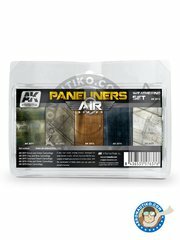 An improved flow for easy creation of depth, and emphasis of surface detail. 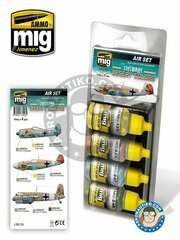 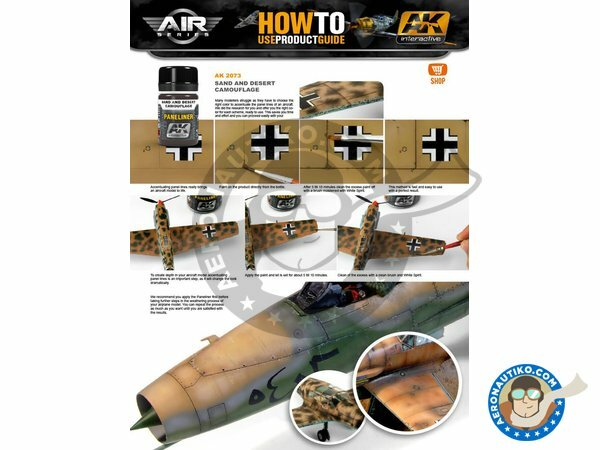 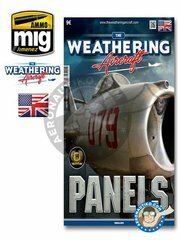 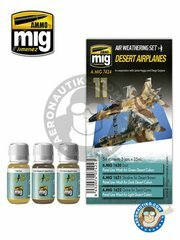 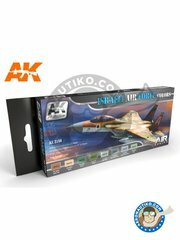 This product is perfectly suitable for aircraft models which are camouflaged in any shade of sand color. 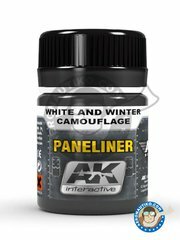 Manufactured by AK Interactive with reference AK-2073. 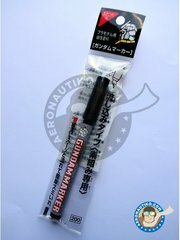 To be used with all kits..
Package measures 65 mm x 25 mm x 25 mm (width x depth x height), weighting 50 g.